One-dimensional mathematical model is developed to investigate the behavior of contaminant transport in landfill composite liner system considering coupled effect of consolidation, diffusion, and degradation. The first- and second-type bottom boundary conditions are used to derive the steady-state and quasi-steady-state analytical solutions. The concentration profiles obtained by the proposed analytical solution are in good agreement with those obtained by the laboratory tests. The bottom concentration and flux of the soil liners can be greatly reduced when the degradation effect and porosity changing are considered. For the case under steady-state, the bottom flux and concentration for the case with t 1/2 =10 years can be 2.8 and 5.5 times lower than those of the case with t 1/2 =100 years, respectively. The bottom concentration and flux of the soil liners can be greatly reduced when the coefficient of volume compressibility decreases. For quasi-steady-state and with t 1/2 = 10 years, the bottom flux and concentration for the case with m v = 0.02/MPa can be 17.4 and 21 times lower than the case with m v = 0.5/MPa. This may be due to the fact that the true fluid velocity induced by consolidation is greater for the case with high coefficient of volume compressibility. The bottom flux for the case with single compacted clay liner (CCL) can be 1.5 times larger than that for the case with GMB/CCL considering diffusion and consolidation for DCM. 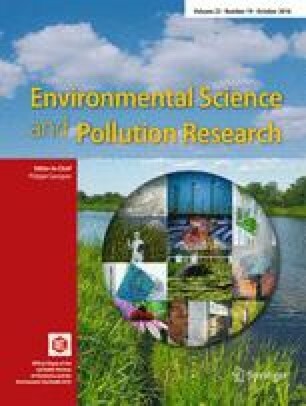 The proposed analytical model can be used for verification of more complicated numerical models and assessment of the coupled effect of diffusion, consolidation, and degradation on contaminant transport in landfill liner systems. The financial supports from the National Basic Research Program of China (973 Program, Grant No.2012CB719806), National Natural Science Foundation of China (Grants No. 51478427, 51278452, and 51008274), the Fundamental Research Funds for the Central Universities (Grant No.2014QNA4019), Zhejiang Provincial Natural Science Foundation (Grant No. LY13D060003), and Zhejiang Provincial Public Industry Research Project (Grant No. 2015C31005) are gratefully acknowledged. COMSOL, COMSOL Multiphysics. 5th ed. 2014. http://cn.comsol.com/release/5.0.